On a recent trip to Melbourne, Director Andrew Hynson and I were discussing the importance of trust for establishing effective remote and flexible work arrangements. Our conversation was about our methodology that gives business owners the confidence of knowing their staff are doing the work they are supposed to be doing. Do you have confidence that your staff are achieving the work you intend? The conversation got me thinking: how many employers have got trust right? Andrew and I always come back to the point that trust is central to the work we do. Trust is the issue. And trust is the solution. If you base your trust on past experience, are you aware that there are three other elements to trust? A powerful way to understand trust consists of four elements: competence, intention, disclosure and contractual experience. When we’re looking to recruit, it’s usually competence and intention that we’re recruiting for. We look at past skill, experience that is relevant to the job, evidence of qualifications and the word of past employers. We make an assessment of whether the person’s intentions are good and they are competent to do the work. However, these two only give us two angles on the issue. 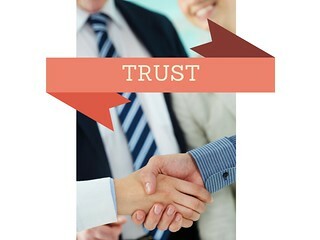 Here at Nina Sochon Consulting we are solving the wider trust problem. Having a broader understanding of trust enables us to give managers the confidence they need to manage a remote or flexibly-working staff member. Your flexible workplace needs a system that establishes a clear, shared concept of work expectations between employees and yourself or your managers. This addresses the further two elements of trust that are necessary beyond recruitment: disclosure and contractual expectation. When you have a clear, shared concept of work expectations between employees and yourself or your managers, you improve the transparency around the work being done. That transparency discloses for the flexible worker’s manager and colleagues exactly what work has been done and whether it has been done to an acceptable standard. The beauty of a clear Results Management System, with its established, measurable work expectations, is that it also addresses the fourth element of trust: contractual experience. This is essentially the confidence that is built on knowing that someone delivers: when they say they will deliver, they do. When work outcomes are clear and transparent, there is a strong basis for managers’ trust in their flexible workers to increase. And it quickly becomes apparent where trust is not warranted. So, while you probably address the first two elements of trust in your recruitment process, we support you with the last two by establishing a Results Management System.